Our cleaning rates are one of the lowest in Bethnal Green. Even better, by contacting our staff now you could get a better price suitable to any of your cleaning needs. Cleaners Bethnal Green is your one stop shop for the best priced house cleaning services around. The company offers a comprehensive list of top-quality professional cleaning services that cover your home from top to bottom. Whether you need the whole house done or certain parts like curtains or kitchen you can rely on Cleaners Bethnal Green to provide you with money for value service that you can trust and rely on. In some more detail, our affordable and quality service list includes well known cleaning tasks like professional carpet cleaning carried out by trained carpet technicians using the latest and most efficient carpet cleaning systems available. The company also does end of tenancy cleaning, which happens to be one of our most popular types of cleaning due to its affordable price and extensive service coverage. Cleaners Bethnal Green also provides standard domestic cleaning, that covers all problematic areas of the house including the bathroom and the kitchen. For those urgent occasions or unexpected visits from relies and friends the company can offer its customers comprehensive and detail orientated one-off house cleaning like after party cleaning or after pets cleaning. For those really serious occasions when the house needs proper attention like post renovations clean up, we can offer detailed after-builders cleaning at the right price. On the more technical side, Cleaners Bethnal Green provides specialized house cleaning services like professional upholstery and curtain cleaning, for those really sensitive fabrics and materials that really require a professional touch. Customers can be sure of the best results possible as the upholstery cleaning is performed by trained professionals that have undergone additional company training to assure there are no mishaps or missed spots throughout the cleaning process. For those occasions when the property has been neglected for a while longer than necessary and the need for a detailed, professional grade cleaning session is utterly required, the company provides deep house cleaning that is true value for money. And if this isn’t enough, we can even perform domestic gardening. The service is comprehensive and includes most types of basic gardening at a very good price. 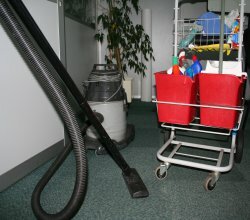 Cleaners Bethnal Green is specialized in providing professional carpet cleaning. Cleaners Bethnal Green provides a comprehensive list of quality and affordably priced cleaning services to all its customers. Our cleaning crews can perform the end of tenancy cleaning in accordance to a pre-determined cleaning checklist. Cleaners Bethnal Green provides comprehensive value for money domestic cleaning to all its clients. Cleaners Bethnal Green provides much choice of options to its entire one-off clientele. When you book your upholstery cleaning service through us, we will provide you with a team of professional, friendly cleaners with a sound knowledge and expertise. Whatever your specific cleaning requirements are, we guarantee to handle it accordingly and with the expected attention to details. Deep cleaning is a more thorough and time wasting cleaning process, though the results will definitely correspond the input of effort. If customers prefer they can provide our staff with their own cleaning list outlining their particular needs and areas of interest. Our gardeners will clear paths and driveways of debris and overgrown plants.